As is tradition at the beginning of the legislative sessions, numerous governors have presented their policy agendas in their annual addresses to their state legislatures. These addresses provide an opportunity for the 20 new governors to highlight their legislative priorities. Many of the State of the State Addresses highlighted successes related to Career Technical Education (CTE) and governors’ commitments to advance CTE in 2019. Many governors celebrated successes of previous and existing initiatives in their speeches. In Arizona, Governor Doug Ducey celebrated the 99 percent high school graduation rate for students in Arizona CTE programs. In Connecticut, Governor Ned Lamont proposed increasing access to vocational technical schools and apprenticeships and celebrated the successes of students at a new Career Academy in Waterbury, CT. Meanwhile, in New Jersey, Governor Phil Murphy celebrated the creation of more than 100 new apprenticeship programs in the past year. Governors also emphasized the importance of advancing equity in their states. In Iowa, Governor Kim Reynolds proposed creating a new program called “Computer Science in Elementary,” which will integrate computer coding into class lessons at six high-poverty elementary schools. In Delaware, Governor John Carney proposed a statewide commission comprised of community leaders who will recommend steps to help disadvantaged students succeed. 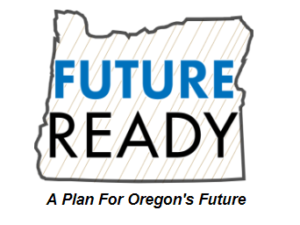 Other governors set goals for the year and called for additional funding for CTE. In Indiana, Governor Eric Holcomb set a goal for 60 percent of Hoosier adults to have a high-value credential beyond high school. 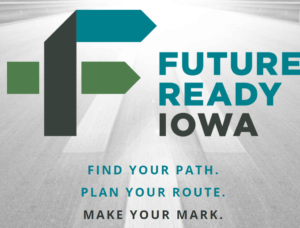 In Nebraska, Governor Pete Ricketts celebrated that the Developing Youth Talent Initiative, which connects middle school students to work-based learning opportunities in the manufacturing and IT sectors, has impacted 7,000 students to date and called on the state to increase funding for the initiative by $1.25 million. In Washington, Governor Jay Inslee proposed a budget that would allow 100,000 students to participate in paid internships and apprenticeships over the next 10 years. In total, more than 12 governors have celebrated or made commitments to foster CTE in their states during their State of the State Addresses. Advance CTE will continue to monitor the State of the State Addresses as they happen for their relevance to CTE. To learn about CTE related policies that governors prioritized in 2018, join Advance CTE, ACTE and a state leader to discuss 2018 CTE related policies in more depth on February 14 – to register for the webinar click here. 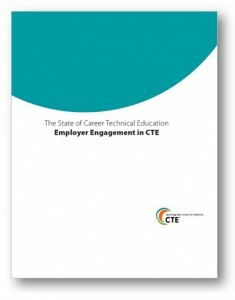 Today, the National Association of State Directors of Career Technical Education Consortium (NASDCTEc) released a new report exploring how employers are partnering with the CTE enterprise to help prepare students for success in careers. The report drew from a survey of 47 State CTE Directors as well as a dozen interviews to understand how and in what ways employers were engaging with CTE across the country and to illuminate the stateâ€™s role in fostering employer engagement. Overwhelmingly, the State Directors reported that employer engagement has increased over the past decade and they expect this growth to continue in the next five years. As the second installment in the â€œState of Career Technical Educationâ€ series, the report also examined the wide range of levers that states are using through state and federal policy. At the state level, the most common tools used to foster employer engagement include interagency collaboration and pilot initiatives as well as standards development and credentials selection. Via the federal Carl D. Perkins Career and Technical Education Act, states also have the flexibility to levy additional requirements beyond what is detailed in the law for locals seeking Perkins funds. More than 40 states said they require local advisory committees, and another 10 states said they also require locals to incorporate work-based learning, employer-related professional development and/or monetary or in-kind contributions. In addition to the report, NASDCTEc has created an extensive list of state examples that can be used as a resource. A recording and slides from todayâ€™s webinar will be posted in the coming days.